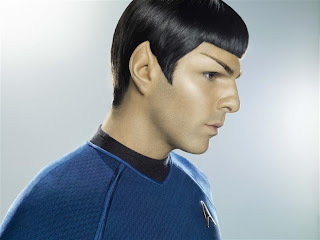 Luke's World: Is Luke a Vulcan? With the new Star Trek movie coming out I couldn't help but notice that Luke has some pointy ears on him. Is Luke part Vulcan? You be the judge.